Cardiac surgery is a sophisticated, dangerous and delicate procedure; but an Indian surgeon and his hospital group have successfully transformed it into a factory style mass operation, bringing high quality care to the many millions who could never before afford it. Dr. Devi Shetty’s Bangalore based flagship, 1,000-bed Narayana Hrudayalaya Hospital, charges $2,000, on average, for open-heart surgery, compared with hospitals in the U.S. that are paid between $20,000 and $100,000, depending on the complexity of the surgery. Narayana Hrudayalaya reports a 1.4% mortality rate within 30 days of coronary artery bypass graft surgery, one of the most common procedures, compared with an average of 1.9% in the U.S. in 2008, according to data gathered by the Chicago-based Society of Thoracic Surgeons. This despite the fact that many of its patients are much higher risk– the patients often lack access to even basic health care and suffer from more advanced cardiac disease when they finally come in for surgery. How does this doctor achieve the holy grail of all products– a better quality product at a lower costs? At the heart of this lies one of the oldest business model innovations and its application to cardiac surgery. More than hundred years back, Henry Ford revolutionized automobile production by redesigning the automobile business model around two basic economic principles– First, higher volumes allow a firm to bring down its costs of production. Second, higher volumes allow resources to be specialized, often increasing their productivity and output quality. Both these principles are manifestations of economies of scale, a principle that any high school economics text discusses. In the automobile industry Henry Ford realized that if cars were mass-produced, efficient procurement, production and delivery brought costs down. Further, one could employ production technologies that used specialized resources, most notably the assembly line which uses specialized resources for each task. This business model innovation brought the automobile to the mass market. 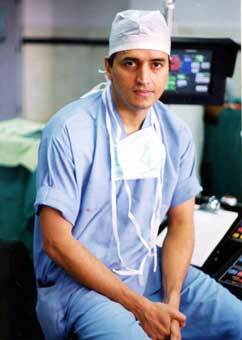 Dr. Devi Shetty and Narayana Hrudayalaya are applying the very same principles to cardiac surgery. Narayana’s 42 cardiac surgeons performed 3,174 cardiac bypass surgeries in 2008, more than double the 1,367 the Cleveland Clinic, a U.S. leader, did in the same year. His surgeons operated on 2,777 pediatric patients, more than double the 1,026 surgeries performed at Children’s Hospital Boston. These high volumes drive both the higher quality and lower costs. Studies have long shown that quality rises at hospitals that perform more surgeries for the simple reason that doctors are getting more experience. And at Narayana, the large number of patients allows individual doctors to focus on one or two specific types of cardiac surgeries. In smaller U.S. and Indian hospitals there aren’t enough patients for one surgeon to focus exclusively on one type of heart procedure. Narayana surgeon Colin John, for example, has performed nearly 4,000 complex pediatric procedures known as Tetralogy of Fallot in his 30-year career. 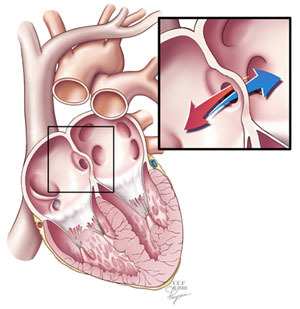 The procedure repairs four different heart abnormalities at once. Many surgeons in other countries would never reach that number of any type of cardiac surgery in their lifetimes. These high volumes and the “mass production” of cardiac surgeries drives down costs too. Surgeons at Narayana operate at a capacity virtually unheard of in the U.S., where the average hospital has 160 beds. Like surgeons, expensive medical equipment has a much higher utilization than at an average hospital. Dr Shetty’s hopsitals do about 12% of all of India’s cardiac procedures giving the group a lot of leverage in procuring medical supplies and purchasing equipment. In some cases, the group develops it’s own suppliers to better compete with expensive established players. Taken together, this high volume, factory-like approach to providing cardiac surgery has saved the lives of many who would never have been able to afford procedures at a traditional hospital. This example of Narayana Hrudayalaya highlights three interesting phenomena relevant to Business Model Innovation. First, a big, often overlooked, lever in improving global health outcomes is the development of new innovative business models around delivery of healthcare. While many focus on improving health technology by developing superior remedies, new business models can probably have a much larger impact by bringing already available advanced remedies to larger populations. Second, this example illustrates a very common technique from renaissance innovation– translating business model innovations from one sector to another– in this case, the core innovation of mass production has long been well understood in traditional manufacturing, Dr. Shetty translated it to his world of a highly specialized medical service. Finally, it illustrates how business model innovation is even more important when it comes to cracking emerging markets, markets where technology is often not the binding constraint, but firms need to devise new business models to profitably deliver existing technology. Hello! I really like your article here. But don’t you think 1.4% mortality rate in this Indian Hospital is way more than the 1.9% of the US hospital mentioned above. And moreover this is just a 30 days post-op mortality rate! Though this hospital is doing a commendable job, but if you happen to closely observe any Indian government setting you’ll notice this pattern of what you refer to as the ‘factory-like’ approach quite common here. Where I worked, the OB-GY department increased from 150 to around 350 beds in just 2 years, more than double. Yes it’s a good approach that we are saving a lot of lives but isn’t quality more important than quantity, especially in the health sector? Most people don’t really thing about the assortment of a top orthopedic hospitals in India. When they need a procedure done they often times go to the hospital the doctor doing the surgery is allied with. In emergency situations, people are either taken to a hospital where the ambulance takes them or go to the nearest hospital.